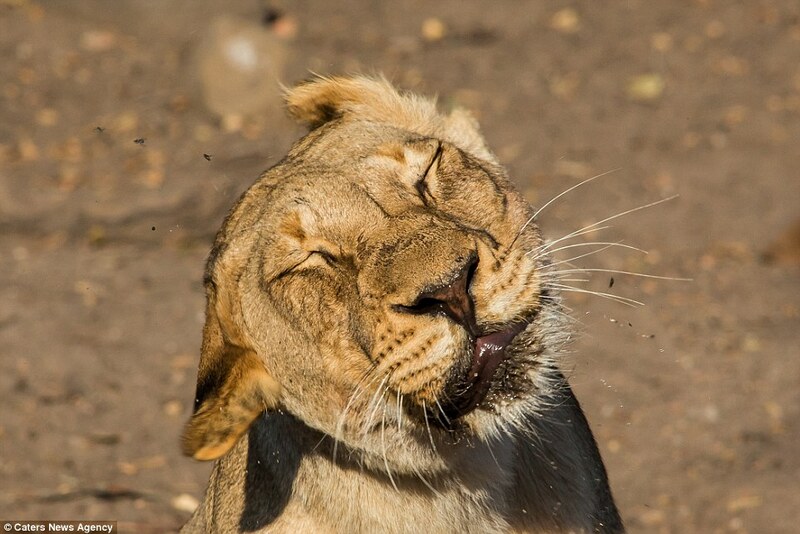 When you are relaxing in the sun, the last thing you need is to be harassed by a fly. 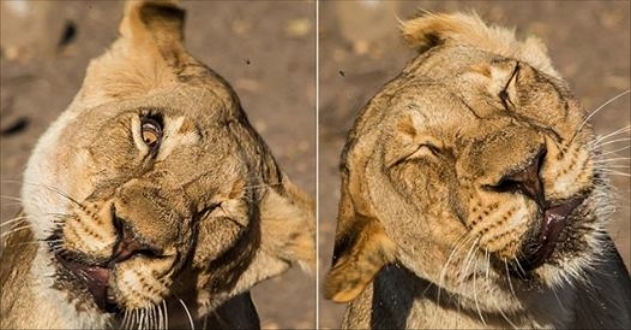 And that's not just humans - as shown by these photos of a lioness trying to shake off an insect buzzing around her head. 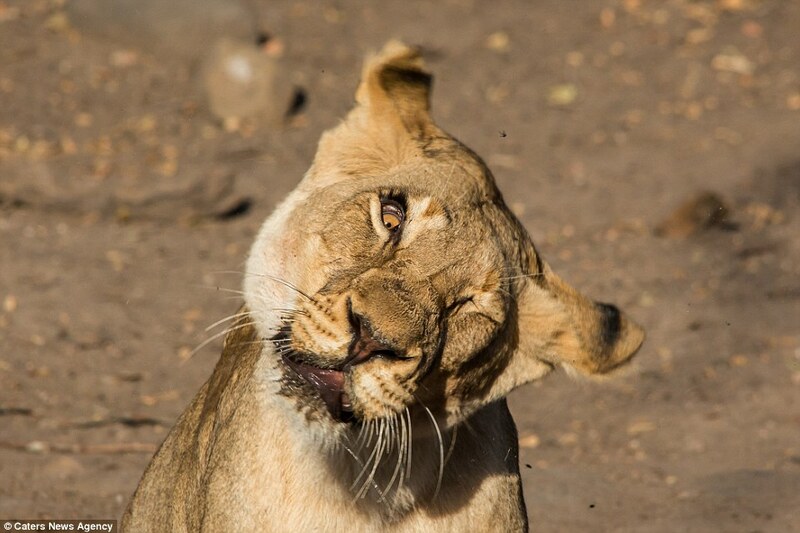 With one eye closed and shaking its head from side to side, she pulls all kinds of amusing facial expressions for the camera. The images were captured by field guide Michael Anderson, 28, while he was leading guests on a tour at Ngala Wildlife Reserve in South Africa. 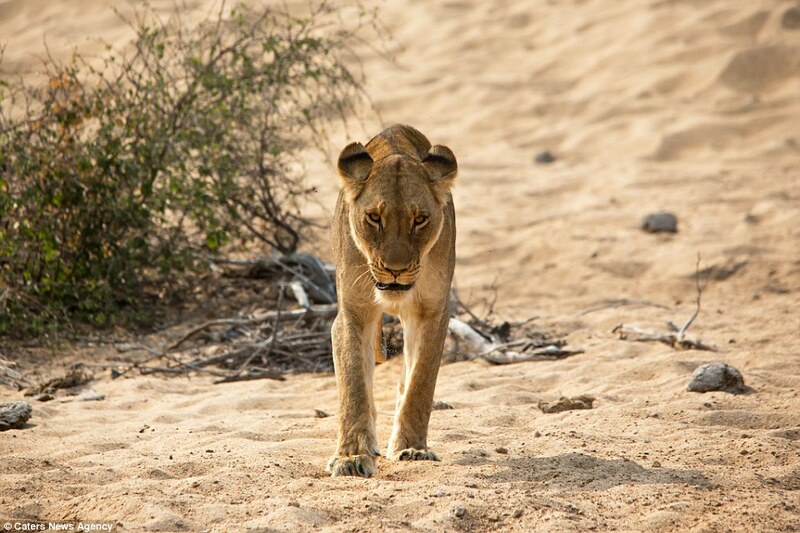 Mr Anderson said: 'This set of images were a complete surprise. 'After watching the lioness being worried by the flies, for a while, she kept shaking her head and I wondered if I could capture the movement. “The flies are attracted to the droplets because it’s hot and dry at that time of year and the drought means no water around for them to get at. 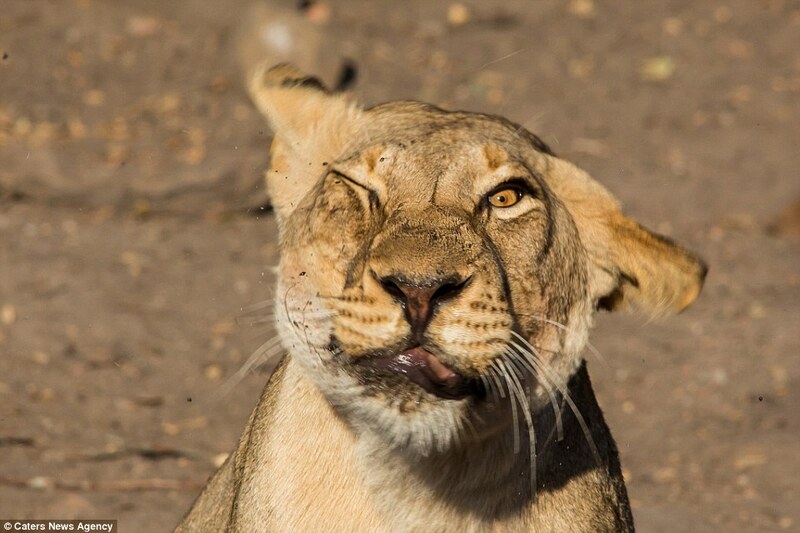 Responses to "Lioness pulls hilarious facial expressions as she tries to shake off a fly"